Hi there! Today's card creation was inspired by Fall to Layout #109 - click here to view the original sketch. I wanted to do something with a Christmas theme, so I pulled out my new pack of Candy Cane Christmas Specialty dsp. 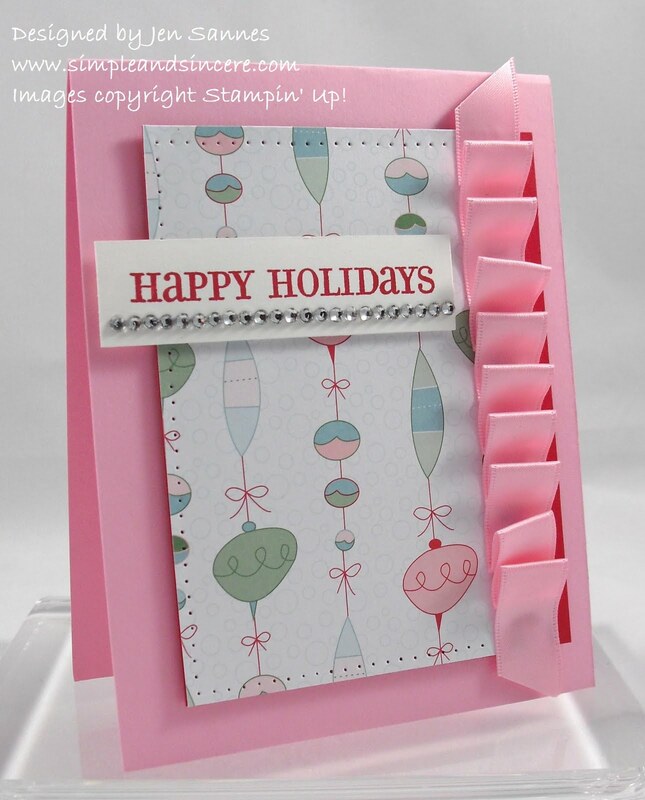 With the help of the designer paper, this card was super quick to put together. I just love ruffled ribbon, and when you combine it with some rhinestones, you have complete card glamour! Love it! I hope you like it, too. ;) Have a great day! What a fun card! Love the whimsical look and that ruffled ribbon looks fantastic on here!